Our home - 1600 Madison Avenue in Toledo's UpTown District - is about 65 years old. But she's not ready to retire yet. Our building has been the site of many businesses over the years, including an architectural firm, a state license bureau, and a financial services company. 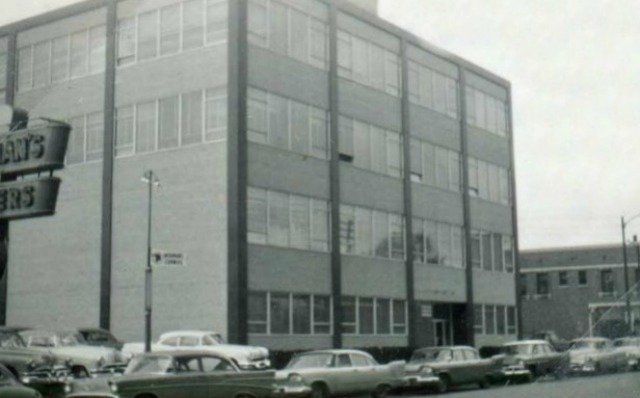 It was also the headquarters of a public relations and advertising agency called Flournoy and Gibbs, which was founded around 1938. At least some of the years they spent at 1600 Madison would have been considered the Mad Men era. And, yes, the excesses depicted in the AMC television show were consistent with what Terry Lesniewicz saw as a young designer while here in the early 1970s. After running his own advertising and design firm for many decades, Lesniewicz is back on the fourth floor of what is now the Mad Ave Group building, leading the D2I team. Many things have changed about our building since it opened in 1950 - from the alcohol-fueled workdays to the fins on the cars in the parking lot - but it's still a place where people come together each day to harness their skills and creativity to make great work.